The statement though didn’t refer only to Nadal's eventual 7-5, 6-7(9), 4-6, 6-4, 6-4 win over the Argentine in the epic quarter-final. For on this day, defending champion Roger Federer was ousted from his favourite Grand Slam – also in a five-setter – after being two sets up. 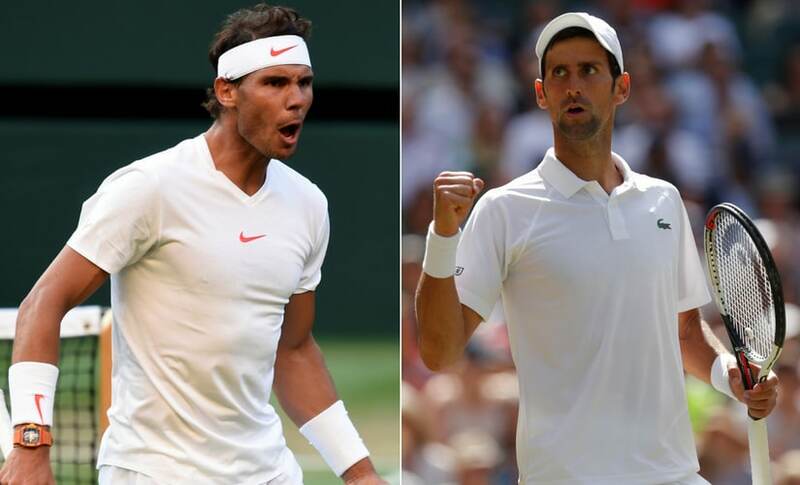 The two Wimbledon men's semi-finals are now a contest between two first-timers, John Isner and Kevin Anderson, and a marquee clash between Grand Slam veterans Nadal and Novak Djokovic. On Friday, Nadal and Djokovic will compete against each other for the 52nd time, more than any other duo in the sport. This will also be the fourth time they meet in a semi-final of a Major – Nadal won each of the previous four encounters, the last coming at the 2013 French Open. The Spaniard is tipped to make it five in a row, given the form that he is in. The match against Del Potro saw him drop a set at Wimbledon for the first time this year. 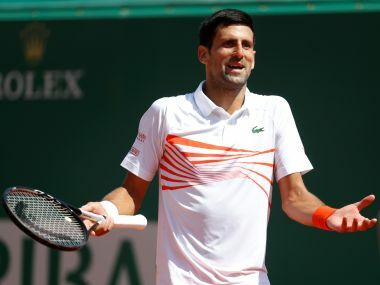 Djokovic comparatively hasn't had an easy outing, but he has been striking the ball with the confidence and finesse that is reminiscent of the days when he could do no wrong on a tennis court. "I'm not thinking about being an underdog or a favourite," Djokovic said after his quarter-final. "I've tried to build the momentum and I've been very pleased with the way I've been playing in the grass court season." Indeed, the Serb finished the better of the two when he took on Kei Nishikori in the last-eight encounter. 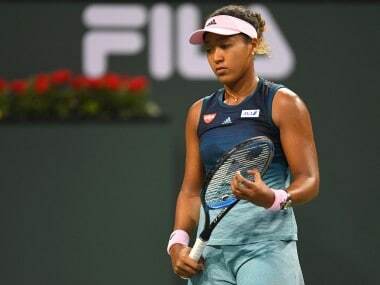 In a four-set match that went on for two hours and 35 minutes, the 12-time Grand Slam title winner, and three-time Wimbledon champion, was in control despite dropping the second set. His first serve in particular had been a key tool on the day. Of the 61 first serves he landed in, he won 52, and was broken only three times en route to a 6-3, 3-6, 6-2, 6-2 win over the 2014 US Open finalist. The win set up the clash against Nadal, their first meeting at a Grand Slam since the 2015 French Open quarter-final. 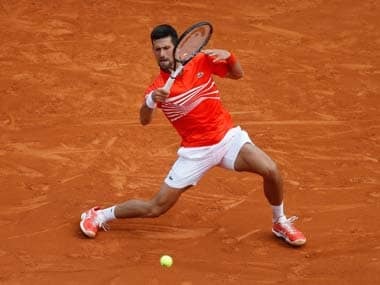 Djokovic won the tie on that occasion, and though he'd eventually lose the final to Stan Wawrinka, he'd start a run that saw him reach unassailable highs, only for the drop to be equally dramatic. 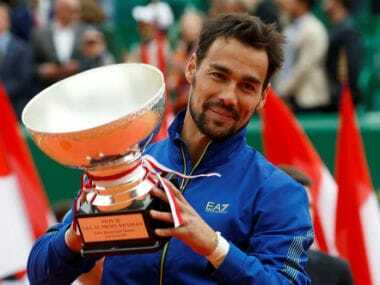 He won the title at the 2015 Wimbledon, followed it up with wins at Flushing Meadows, the Australian Open and then Roland Garros the next year. At that point, Djokovic held all the four Slams. No player in the men's circuit managed to achieve such a feat since Rod Laver's Calendar Slam in 1969. Thereon, Djokovic's elbow started to give away. He even skipped the 2017 US Open to recover from the injury. This year, he's made it to the semi-final of Wimbledon for the eighth time. But there's a different ring to this achievement. "It's different coming into the semi-finals this year," he said. "Taking into consideration the 15 months behind and everything that has happened, my results were not up to the standard that I was doing before, that I was expected to play on. But at the same time I'm trying to use the experience and memories I have of being in the final stages of a Grand Slam and take things simple, day by day. At the end of this day, analyse things that I've done right. Focus on tomorrow's day in the practice session, recovery. And not get ahead of myself too much. Whatever is behind is behind. I've been through that." Nadal too, despite the form he's been in, has recognised the threat Djokovic poses. "It's a big challenge to play Novak. He's one of the most complex players I ever saw in our sport. It's always a big test. You know you can't win against him if you don't play very well," he said. "He's playing very well, I've seen so much of him. He's playing great," he added when asked if he'd watched the Serb at SW19. 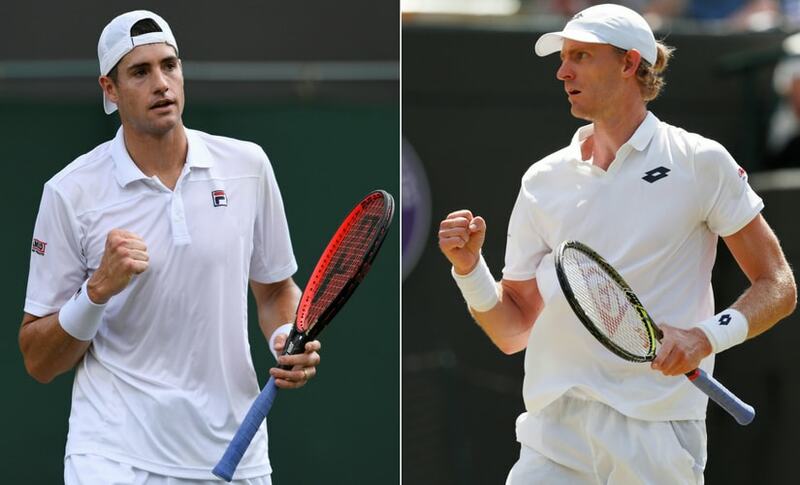 At the other end of the spectrum, are 33-year-old Isner and 32-year-old Anderson who have scripted their best performance at Wimbledon by make the final-four. Isner, the towering American who stands at 6'10, does have a long lasting legacy in London though. Eight years ago, in a first round match against Nicolas Mahut, Isner won a match that went on for 11 hours and five minutes, 6-4, 3-6, 6-7(7), 7-6(3), 70-68 – the longest match in tennis history. Since then though, the World No 10 has remained on the fringes when it comes to the Slams. His best so far had been a quarter-final at the US Open in 2011. But after hammering 26 aces against Canadian Milos Raonic, Isner went one better to book a berth in a semis after a 6-7(5), 7-6(7), 6-4, 6-3 win. The 33-year-old will face another tall campaigner, 6'8 South African Anderson. The World No 8 has had an injury ravaged career, but had started to peak at both form and fitness since the start of the 2017 season. He did manage to unexpectedly reach the final of the US Open last year, losing out to Nadal in straight sets. But at Wimbledon, he pulled off a stunning win against Federer after losing the first two sets. Head-to-head, Isner leads 8-3, but this is the first time they've met at a Grand Slam. The winner will get a chance to play at the biggest stage in tennis. And with it, the chance to earn exclusive AELTC membership reserved for Wimbledon champions.